When shopping for a building lot, you will likely consider its location, purchase price, size, and shape – with good reason. Where you live, the size of your construction budget, and how much land you have and can effectively use will impact your selection. The choice of location is likely to be determined by a variety of considerations. The type of neighborhood, tax rate, length of commute to work, and quality of the school system are likely to be important. Proximity to family and friends, the distance to shopping centers, and access to recreational activities might also matter. Privacy, traffic noise, and what you can do with the lot (such as put in a swimming pool) may be paramount concerns. The location of a building lot is seldom in itself of special consequence when considering a modular home. However, the route to the site, as well as its size and shape, can occasionally pose delivery difficulties. Also, building lots sometimes come with covenants, deed restrictions, or easements that can restrict what you can and cannot build. For those on a budget, the price of the building lot will affect how much money is left over to build a house. Land costs in many areas have risen appreciably in recent years. In some areas, the rise has been astronomical. Buying a piece of property is one thing, but turning it into a usable building lot can be a different matter entirely. There are many factors in developing land that can add thousands of dollars to the cost of building a house. If you are unprepared for these costs, they can make a complete mess of your budget. The full chapter in the book discusses in greater length the many factors that impact on making a raw piece of land into a viable building lot. Whether or not you already have your land, this chapter will help you assess the total costs of preparing the site, which in turn can make it easier to decide how much you can afford to spend on the house itself. 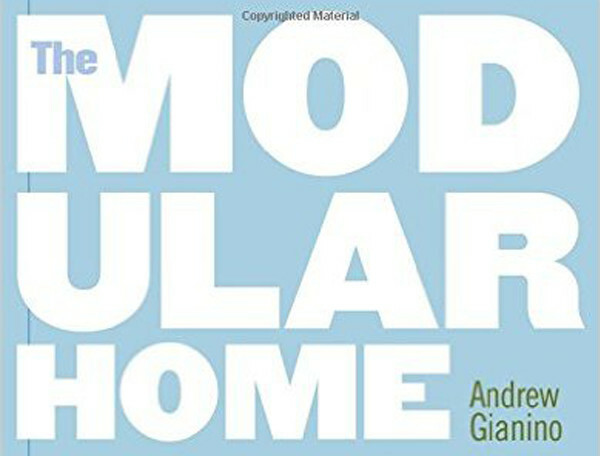 To learn more about how a GC can address the challenges posed by building lots, see chapter 7 (51 pages), “The General Contractor’s Responsibilities”, in The Modular Home (310 pages) by Andrew Gianino. The zoning regulations in this town require a minimum building lot of 25,000 square feet and 150′ of frontage. The regulations also require the home to be located at least 20′ away from the side and rear property lines and 50′ from the road. What does it mean to have clear title to a property and how can you protect yourself against a title flaw? What are covenants and deed restrictions and how might they affect your ability to build on your property? What are easements and right-of-way restrictions and how might they affect your ability to build on your property? How will your town’s zoning requirements dictate what you can and cannot build? What are your responsibilities and vulnerabilities if pollution is found on your site and what can you do to minimize this risk? What is the significance of owning a lot that is in a designated flood plane? Who determines whether your property has any “wetlands” and what must you do if it does? Why should you have a property formally surveyed and boundary markers put in place, if these have not been done, before purchasing it? Since these issues are so important, the full chapter in the book recommends several contingencies that you should add to your offer-to-purchase when you identify a lot that meets your needs. These contingencies will allow you to withdraw your offer and receive a full deposit refund if you discover a problem with the lot before you conclude your purchase. When comparing one building lot with another, there are a number of construction costs that are relatively fixed and predictable. For example, the costs to complete the button-up work after your home is set on the foundation are seldom affected by the features of the land. 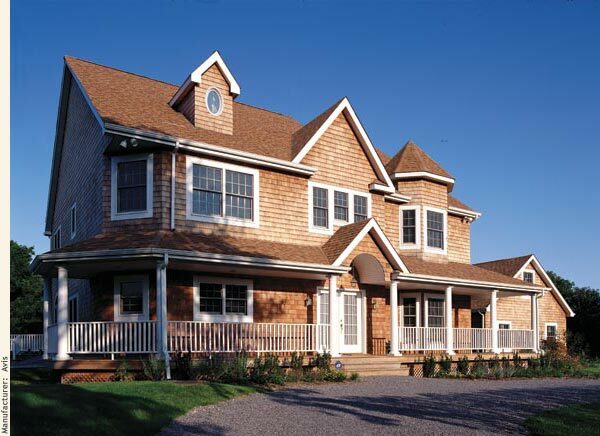 A competent modular-home company can give you a good idea of these costs without knowing much about your property. The shape, size, and existing slopes, or “grades,” of the lot will influence where best to place a home. Other factors include trees and open spaces, streams and ponds, and existing stone walls and driveways. The lot’s location relative to the surrounding properties will also affect your decision. Since a property’s topography can also play a determining role in the type of home you can build and how much it will cost to complete the work, the full chapter in the book discusses several of the issues you need to consider. Some lots are densely wooded with trees and brush while others are completely cleared. The cost of cutting down the trees, chipping the brush and limbs, removing the logs, and digging up and burying or disposing of the stumps can be substantial. While lumber companies will pay for the chance to cut some kinds of trees, most building lots do not have enough of the right type and size to help the customer avoid paying for their removal. Sometimes building a modular home means having to remove more trees than would be necessary with another type of construction. This is particularly true when a tree or two obstructs the delivery or set of your home. In most circumstances, however, the type of construction does not affect the number of trees that need to be removed where you will locate your house. After clearing the land you will need to excavate a hole for the foundation. The cost of excavation varies considerably from lot to lot. The difference depends largely on whether the land has ledge, rock, big boulders, hardpan, clay, or other difficult soil and subsurface conditions. Extensive deposits of ledge and rock require blasting, which is expensive, and large boulders and hardpan may require more powerful and expensive excavation equipment. Clay is very difficult to work with, particularly when wet. Because large boulders, hardpan, clay, and the debris left over from blasting ledge are usually unfit for backfilling around the foundation or for bringing the grades around the house to the appropriate levels, additional fill is almost always required when these conditions are present. Buying, delivering, and spreading additional fill can add significantly to excavation costs. Because ensuring a dry basement is an important objective for most customers, the full chapter in the book discusses some of the issues you need to consider to achieve this result. Excavation work is also required for connecting your home to underground municipal water and sewer lines or a well and septic system. Trenches are required if you are running underground utility lines for electrical, telephone, or cable services. Creating the appropriate grades on a lot is critical to minimizing water problems, making the site usable, and making the driveway accessible. Although you will want to direct water away from your home, you will need to do it without causing problems for the neighbors. You will also want to take into account how water from neighboring properties flows onto your property. Additional grading may be needed to make the site accessible for the modular transporters and the crane on delivery and set day. If the lot is made up of many rough and uneven hills, the task can be more difficult for the excavator and thus more expensive. If additional fill is required to complete the grading, your costs will also increase. How to install proper drainage to secure a dry foundation under your modular home. Some lots come with municipal water and sewer lines already available, often by the side of the road. Others may have only one of these available. Many lots, particularly in rural areas, have neither. The availability of municipal water and sewer connections typically reduces the cost of developing the land. This is because without them you must drill a well and install a septic system, both of which tend to cost more than their municipal alternatives. This is not always the case, however, since some towns have an expensive hookup fee. Municipal water- and sewer-hookup costs are affected by the distance of the home from the road and by the type of land that must be crossed. Land that is heavily wooded may require additional tree clearing. Land that is spiked with rock and ledge may require additional blasting. Customers often underestimate what is involved in hooking up to public water and sewer. When the hookups are in a new subdivision, the task is usually easy and uninvolved. But if you are connecting to services that have been in place for many years, you could run into a situation that will complicate this task considerably. The full chapter in the book discusses nine of these situations. If the property does not have public sewer, you will need to have a private septic system installed. A septic system is built according to a set of engineered plans, called a septic design, drawn by a licensed sanitarian or engineer. As indicated elsewhere in this chapter, the design is itself based upon the results of a perc test, which measures permeability by counting the average number of minutes per inch it takes water to percolate through the subsoil in a test pit. When buying land that requires a septic system, ask the seller for a copy of the perc test results, which you should verify have not expired. Should a prospective lot not yet have a valid perc test, do not purchase the lot until a test is completed unless you have compelling evidence that it will pass. Otherwise, you may discover you own a lot that you cannot build on. The expense for a perc test is almost always borne by the seller. Installation costs for septic systems vary significantly, depending on how the soil conditions, perc rates, and ground water determine the engineered designs. If the septic design requires many truckloads of additional fill, the costs can increase by thousands of dollars. Fortunately, an experienced subcontractor can usually give you a reasonable estimate of the costs before you buy the land. The full chapter in the book explains how to obtain an estimate. A perc test is needed whenever your property requires a new septic system. It is almost impossible to estimate in advance how much it will cost to drill a well. Many people mistakenly claim that if you know how your new neighbors faired with their well, you can have a good idea of what you are likely to find with yours. That is often not true at all. Even an experienced driller cannot predict with certainty how many feet he will have to drill on your property before he reaches sufficient water, nor can he tell you how many feet of metal casing he will need to use, since this will depend on when he hits bedrock. In addition, he cannot tell you how much pressure he will find when he hits water. Without knowing these facts in advance, he also cannot know how large of a pump he will be needed to bring the water to the house. The best protection is to set aside a sizable amount of money as a contingency for excessive well-drilling costs. The cost of putting in a foundation is primarily determined by the size of the home, but there are costs associated with installing a foundation that depend on lot conditions as well. For example, if a foundation will be located on a slope, it will require more excavation, a larger foundation, or both to create a level platform. In cold climates, building codes require the installation of “frost walls” below ground to protect the foundation footings from frost heaves. In much of the Northeast, for example, foundation walls and their footings must be buried at least 4 feet. If the grade is such that one or more of the standard height foundation walls will not be covered with 4 feet or more of fill, the bottom of the walls and footings must be extended into the ground to achieve this depth. Building these frost walls, which can make the total foundation wall as much as 12-feet tall when combined with an 8-foot basement, will add appreciably to the cost. 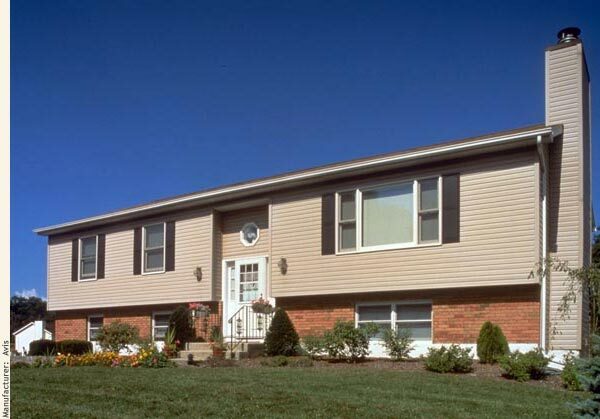 Building a walk-out basement with full-size windows and sliders is usually a better way of handling a slopped property with a full basement, since it makes the basement more usable and access to the yard easier. In cold climates, if the walk-out walls are completely above ground, a frost wall will need to be built in addition to these 8-foot-high wood-framed walls. The number of windows and doors added to the walk-out walls will also add to the cost, since windows and doors cost more than the foundation they replace. With a high water table, water can be kept out of the basement with a drainage system and a raised foundation, as discussed above. Additional protection can be offered with special waterproofing products that are applied to the foundation. The traditional approach of applying asphalt coating to the walls does not really waterproof the basement. True waterproofing products come with a guarantee. They cost more, but they also deliver better results. If you are building in an area where soil or seismic conditions create the potential for additional stress to the foundation, you may need to make it stronger. This may mean, for example, thicker walls reinforced by steel bars, which will increase the cost. Most aspects of landscaping are decided by personal taste and budget. However, the land does influence which alternatives are most practical. Some land lends itself to inexpensive landscaping while other lots require more extensive work. For example, a flat lot that contains few trees or shrubs might require an extensive lawn. If this same lot has poor soil for growing grass, it might require loam to be trucked in. To purchase a complete copy of The Modular Home, click here.